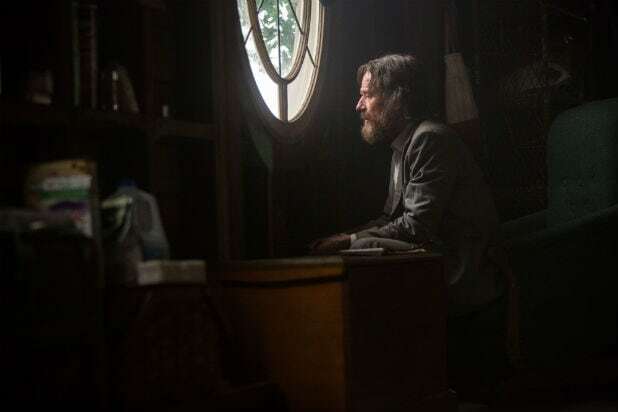 "Wakefield" Never underestimate Bryan Cranston's desire for the intense -- in "Wakefield," he plays a successful lawyer and family man who abandons his loved ones only to observe them at a distance from an attic above the garage. "Girl Unbound" This documentary is the true and inspiring story of Maria Toorpakai, a talented squash player who faces death threats and cultural upheaval in her quest to represent Pakistan in international competitions. "Tramps" In one of the most-discussed titles screening at TIFF, director Adam Leon sets us up on a sketchy errand to deliver a package, and winds up painting a romantic crime caper with a young man and woman. "Birth of the Dragon" This feature, set in San Francisco's Chinatown in 1960, chronicles the rise of Bruce Lee as a self-taught master of martial arts. "The Promise" Oscar Issac stars opposite Christian Bale and Charlotte Le Bon in the comeback of "Hotel Rwanada" director Terry George, about a love triangle set against the first World War. "(re)Assignment" Another of the most-discussed titles around this year, Walter Hill's action film was described by one buyer as "total madness." Michelle Rodriguez plays a male soldier who undergoes sexual reassignment surgery to become female, at the behest of her scheming superior officer (Sigourney Weaver). "The Bleeder" Liev Schreiber and Naomi Watts topline one of the starriest sales titles, a fact-based drama about a toxic bachelor and boxer. "Carrie Pilby" Indie sensation Bel Powley ("The Diary of a Teenage Girl") returns in Susan Johnson's portrait of a girl genius trying to find a normal life in Manhattan. "Catfight" Not only does this black comedy pit old high school friends Anne Heche and Sandra Oh against each other in a battle royale, the below-the-line talent on this project is almost exclusively female. "Their Finest" Director Lone Scherfig ("An Education") returns with a period rom-com centered on the making of an inspirational movie amid the Blitz of London in World War II.